Sure, the table above looks somewhat normal except for the absurd number of legs and bolts. Until you watch the video and.. it walks! Sort of. 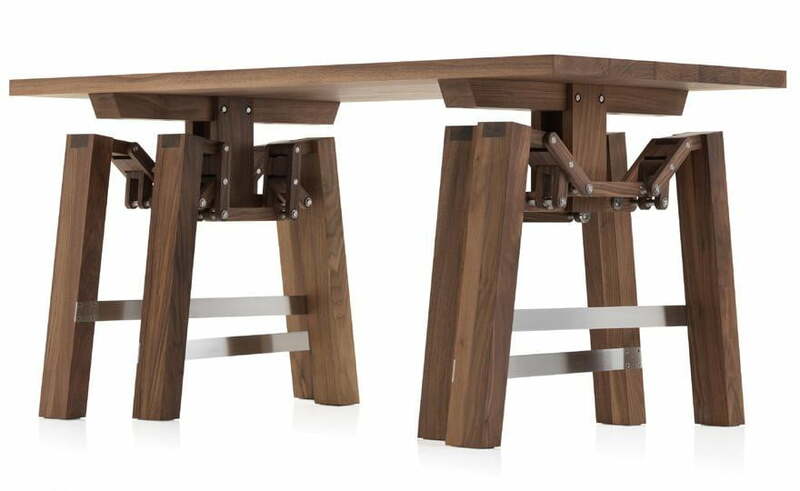 The Walking Table isn’t listed for sale, but Scheublin’s studio did produce a series of eight in walnut, so the well-heeled buyer may have some luck hunting one down. Of course, if the Walking Table isn’t weird enough for you, check out the even crazier Walking Bookcase.